 "Great shoe cobblers are difficult to find...and this group does incredible work. I took a couple of very expensive heels in and they came back looking like new. Everything has been ready on time. Fair prices for the quality of work!" "This is a fabulous small business with excellent service. My shoes were really falling apart but now they are better than ever! I will definitely be going back!" "They always do great work every time I go there. Very friendly and extremely helpful. Wouldn't go anywhere else."